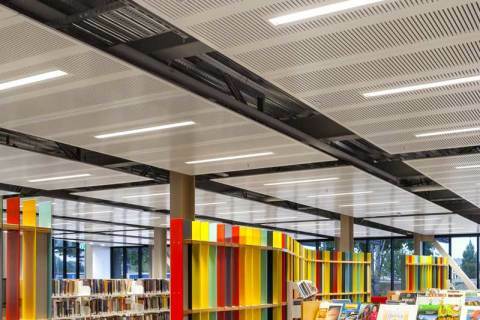 Product: MDF and Firesafe MDF with Acoustic Slot Perforations and Colourful Paint Finishes. 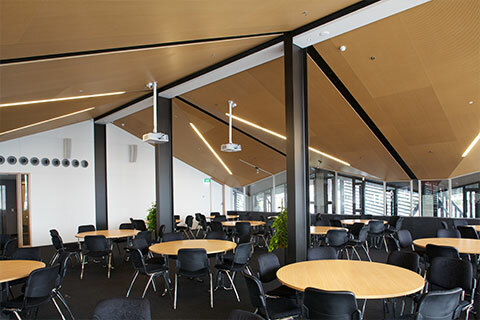 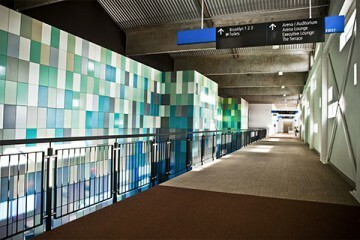 Over 1650 298 x 548mm panels with chamfered edges were made for the pre-function centre walls. Panels were painted 30 different paint colours and gloss levels including metallic and strategically positioned in a mosaic tiled effect to create the imagery of a wood pigeons outstretched wing. 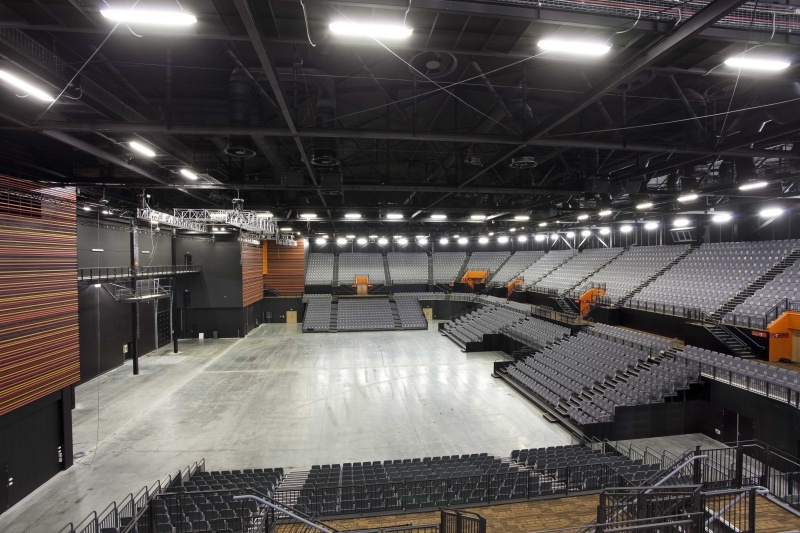 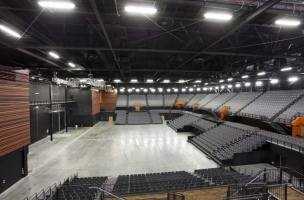 Firesafe MDF was used in the arena with a paint finish to meet the fire requirements of the job. 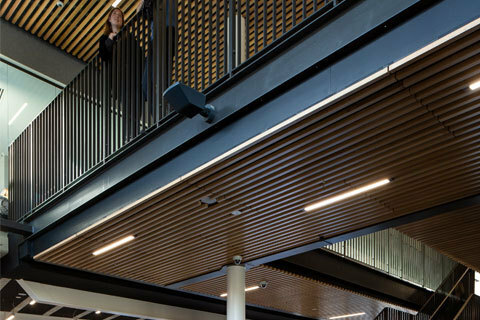 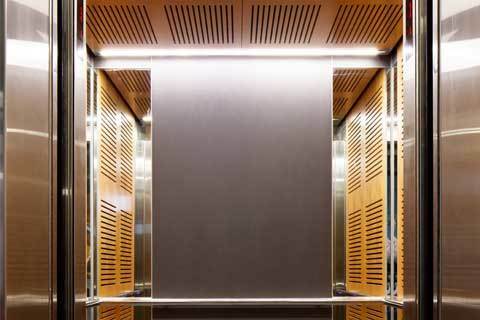 Arena Stair Rise panels used slotted perforations to provide the acoustic treatment required with a matt black finish. 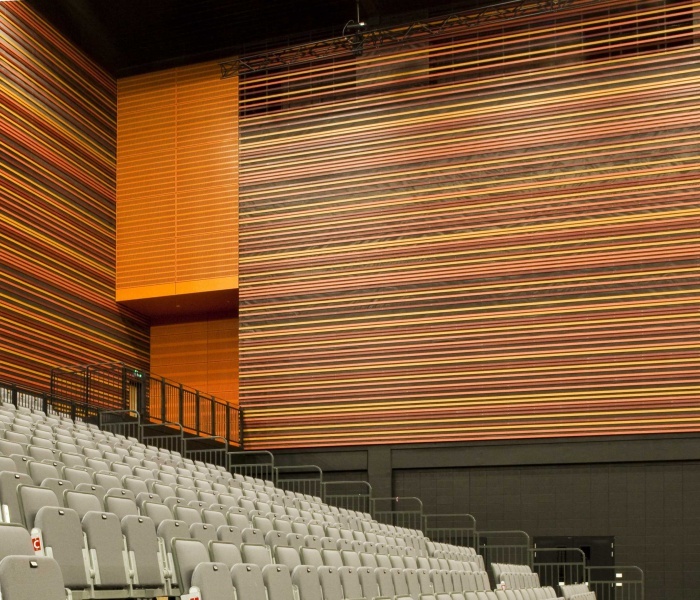 On the horizontal terracotta battens, four different orange hues were used to give a colourful standout feature that enhances the arena and contrasts with the black wall areas. 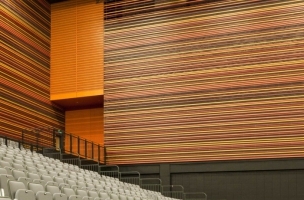 The Arena Exit way panels were painted Clockwork Orange for visibility and had a 46% open area to achieve high performance acoustic ratings. 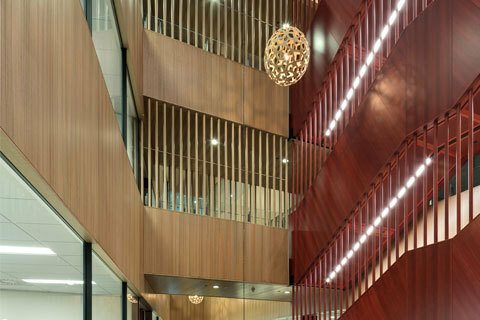 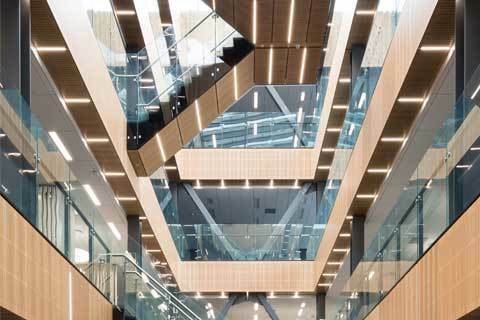 Décortech worked closely with the Architect and Main Contractor to design these panels to ensure they met the open area requirements without compromising the stability of the panels. 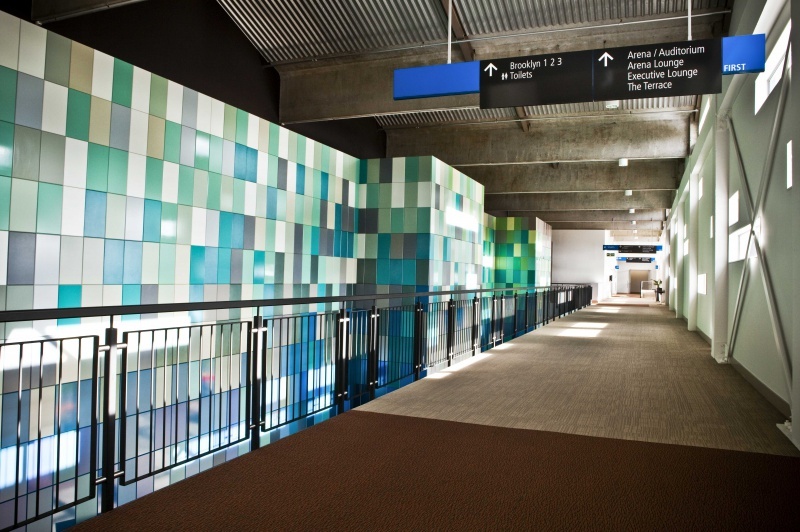 Décortech worked closely with the Main Contractor to produce shop drawings and assembly drawings for all panels prior to manufacture.